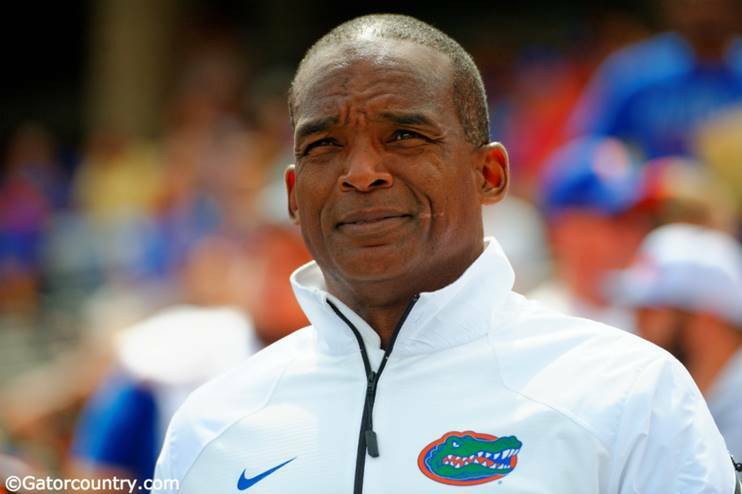 When Geoff Collins took the head-coaching job at Temple it was merely a matter of time, a formality really, that Randy Shannon would be tabbed as his successor to run the Florida Gators defense. Shannon was given the interim role for the Outback Bowl and the Gators’ defense didn’t miss a beat. Florida held Iowa to just 55 passing yards — the lowest total yards the Hawkeyes threw for all season. They also surrendered just three points, the lowest points allowed by a Gator team in a bowl game since 1998 (Citrus Bowl). The defense was a formidable unit all season. They allowed just 1,931 passing yards (148.5 per game) — the least amount of passing yards allowed since 2001. Much of that credit went to player who are currently getting ready for the NFL Scouting Combine and NFL Draft as well as Collins’ and his defensive scheme and play calling. Shannon served as co-defensive coordinator, but his first opportunity to call plays was the Outback Bowl. Shannon didn’t take long to put his own stamp on the defense either. Shannon’s credentials are undeniable. He’s been a defensive coordinator at two stops in the college ranks and coached linebackers for the Miami Dolphins as well. He’s coached football legends, developed some of the best linebacker n the country and has a National Championship as both a player and a coach. Shannon received the Broyles Award in 2001, recognizing him as the best assistant coach in the nation. The Gators are losing a lot of talent on defense, eight starters to be exact, but the defense is used to the rumors and talk of a drop in production at Florida. The Gators will get back a lot of leadership in defensive backs Duke Dawson, Nick Washington and Marcell Harris. They’re young up front on the defensive line and at linebacker, so Shannon is changing the way the defense communicates. With Jarrad Davis and Alex Anzalone in the fold last year the defense had two smart, experienced leaders to look to when the bullets started flying and the game got going. Florida simply doesn’t have that luxury in 2017, so Shannon is changing how the defense will communicate on the field. The goal is to play fast, be physical and not let the departures from last year hold the defense back. With Shannon leading the way the group has all the confidence they need to start spring camp.